Sensational impressionist New York landscape work. This medium sized landscape on canvas board features a meadow with a golden shaft of light in the left foreground. This spills onto the pile of rocks at the bottom right. A lone pine towers on the right; a gore of them distantly at left. All of this is in front of a large bay or inlet across which lies a sprawling sandy dune at the distant shore. A bank of. Clouds is stacked high above that distant shore. There is so much to see here, yet it is perfectly serene. 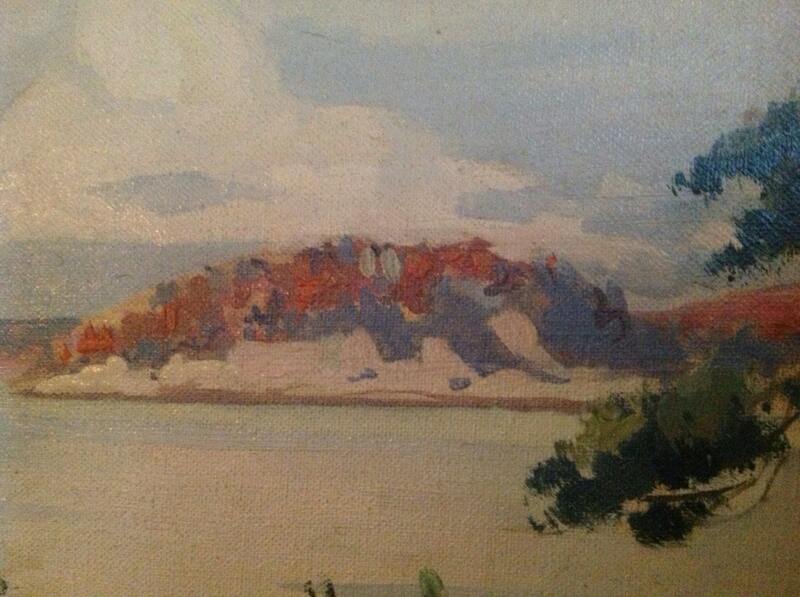 Light brush strokes throughout, but heavy to impasto at the foreground shore's scrub brush. Colors range for, spring greens to yellow, pink, mauve, and umber. 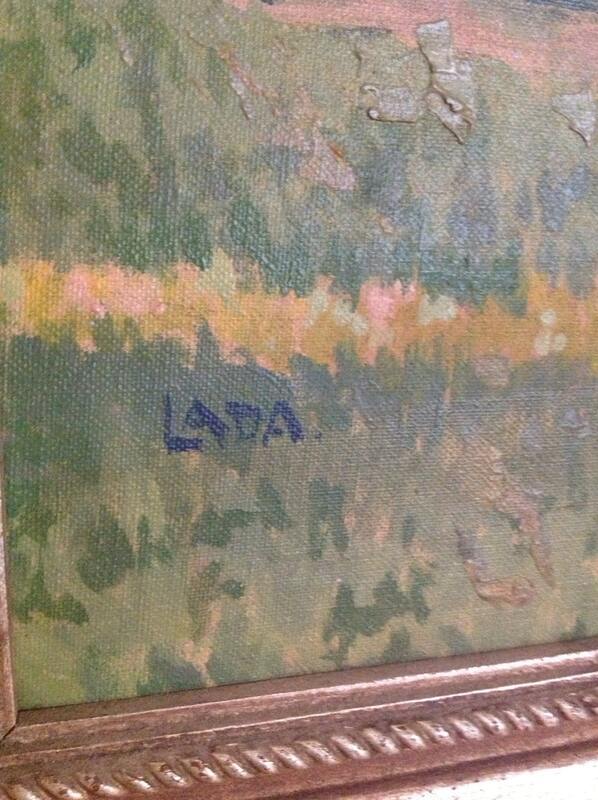 Painting is signed lower left with what is probably a pseudonym-- LADA. 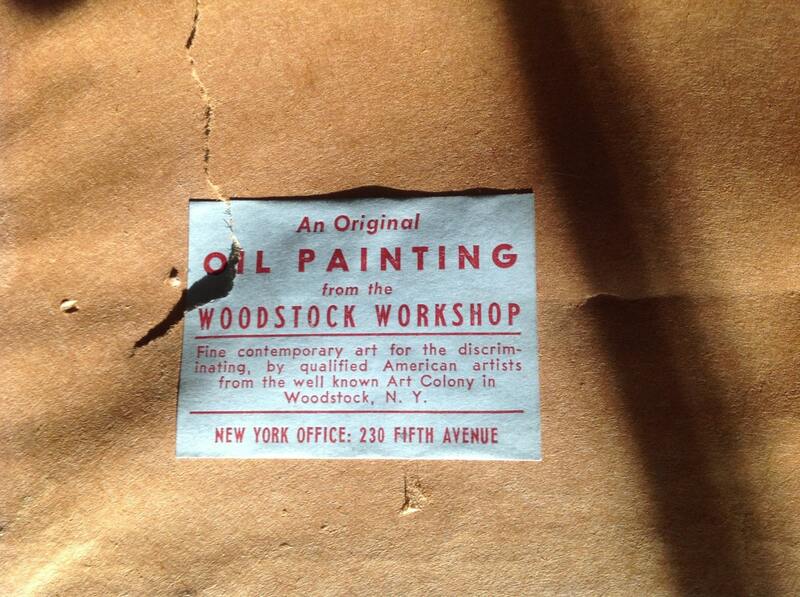 On the obverse is a 5th Avenue Gallery tag that indicates this was painted in Woodstock, NY. Frame is original. Simple gilded wood. Dimensions are 15.5" x 19.5" (image size) and 20.5" x 24.5" (frame). Condition is excellent. 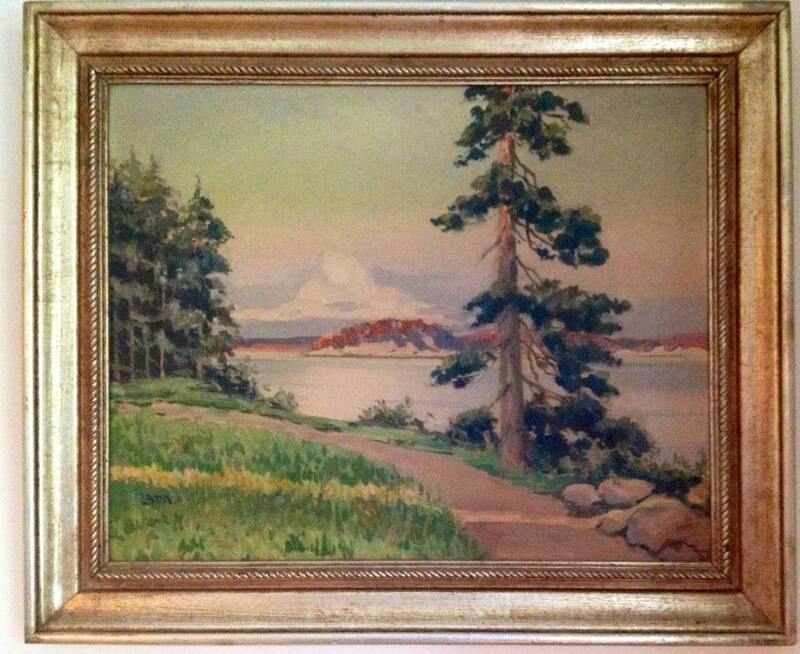 A professional cleaning to remove the tired artist would probably make this painting explode with color. 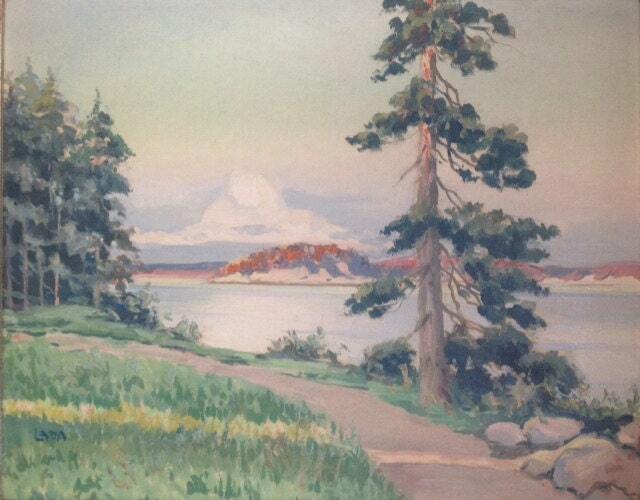 This has all the hallmarks and qualities of a very fine landscape painting.